Michael C. Hall: "Dexter" is "Not Hiding Anymore"
Showtime's serial killer struggles with a changing sibling dynamic in penultimate season. 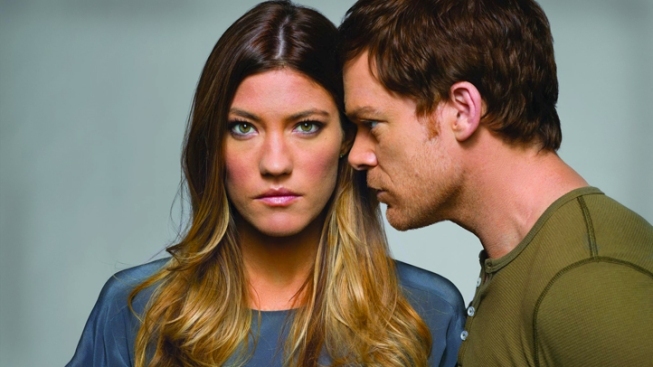 Jennifer Carpenter: I'm Terrified for "Dexter"
Michael C. Hall is about to slice into another season in the life of TV’s most beloved serial killer. When “Dexter” closed out its sixth season – last cycle spoilers ahead – the show was staring down the barrel of some profoundly explosive changes to its status quo: Just as Dexter’s adopted sister – and police superior – Deb (Jennifer Carpenter) began to wonder if she’d actually developed romantic feelings for him, she was shocked when she discovered him having just ended the life of Doomsday Killer Travis Marshall (Colin Hanks). Season Seven launches from that presumably game-changing revelation, and Hall carves into what to expect from Dexter’s disturbed psyche in the episodes ahead. As the ideas started gelling for this season, what was the one that hooked you most? Just knowing that we ended [Season Six] with the revelation, and that we weren't going to pull any punches by the end of that first episode. All the cards are on the table, and the thing that compelled me is that. It's this secret no longer just being his own, and he has to manage not only his own feelings about it inasmuch as he has them, but the feelings of the person closest to him. Is that an extra shot of adrenaline in the scenes that you share with Jennifer Carpenter? Yeah. It's all infused with a new energy, a new dynamic, a new thing to manage. He's not hiding anymore. I think Dexter is justifiably paranoid and manipulative in ways that we've never seen him have to be. I think at this point we are convinced that Dexter is arguably human, but our sense of his humanity has been compartmentalized and always so sweet to his son. 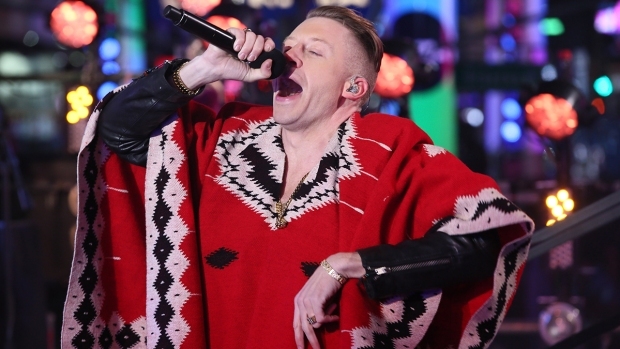 He's human in some pretty unsavory ways, too, and we see that. What did you think when they told you that Deb was going to find out? I thought that's rough for Dexter, but as an actor and as someone who's excited about new storytelling possibilities I was very thrilled. Is that a double-edged sword for your character? At least. If a sword can only have two edges then this one has two. It might have more than that. I think both for Dexter and Deb, in very different ways, the revelation is simultaneously a huge relief and as terrifying as anything that could happen. How do you avoid navigating this discovery without coming off as silly? I think our writers have always been willing to back themselves into storytelling corners and then write their way out of them, and I think this is probably as tricky a corner, but also juicy a corner as we've ever backed ourselves into. Yeah, Jennifer and I and the directors and the writers and everyone involved are always aware that we're telling something that on paper seems pretty far-fetched – if not implausible. We're trying infuse it with some sense of real life. I think the fact that we have Deb come into some sort of – perhaps misguided, but some awareness of her deeper feelings for her brother at the end of Season Five, however you might of felt about that it softened her in a way that might make it, if not more palatable, more acceptable. We see in her a character who's more eager to find a way to understand why her brother might be this way, and to challenge herself to if not embrace it to accept it. Every scene we have feels like another sort of brick in the house that we're building. What can you tease about Yvonne Strahovski coming on this season? Not much, but Dexter first comes into contact with Hannah McKay, Yvonne's character, because Deb is trying to fill his time with work that would otherwise be filled with stalking and killing people, but as a result he comes into contact, getting a DNA sample, with her character. From the first time they meet they're circling one another to a degree. As you can imagine, Dexter has always been someone who's been a magnet for chaos. He finds it and he finds it with her character and what happens between them. What have you learned about yourself through this character? I think I've learned that we all tell stories to ourselves, about ourselves, about our lives that allow what's happened in our lives to make sense to us. Dexter is certainly someone who tells himself the story about who he is and how he's managed his compulsions that allow him to feel justified – if not even righteous – about how he behaves. I think maybe we all do that. Well, yeah. I think I try to be a bit more self aware and less completely indulgent in my darker impulses and things. Hopefully they're not as formidable as Dexter's, but yeah, I think we all do that. Are the pieces are getting lined up for the series’ end game? Starting to, yeah. I think we're going to go back to start shooting the final season earlier than usual. We're going to be a bit ahead of schedule. We'll start shooting in February. So I think the writers will maybe have a long weekend and get right back to it. As a result I think everyone is thinking about what the end game is. Nothing definitive is on the books, but the conversation feels a lot more real than it's ever felt. Is there any way that this story ends with Dexter being happy? Yeah, there's a happy ending. At a massage parlor. I don't know, that's a difficult thing to imagine, that the ending will be happy for him, unless he gets lobotomized. I think he is going to be perpetually saddled with the management of his compulsion. He certainly defines himself primarily, or most authentically, as a killer. Everything is in service to that and I think he's resigned to that. So I guess I could've just said no. "Dexter" airs Sundays at 9 p.m. ET/PT on Showtime.